After 9/11, the world became more fearful, and acts of terrorism were prominent in the news cycles. 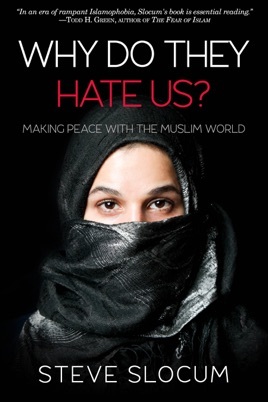 In Why Do They Hate Us?, author Steve Slocum takes the spotlight off the extremists and instead exposes the heart of the everyday Muslim through Christian outreach. Why Do They Hate Us? brings the story of Mohammed to life and unveils the storied history of Islam with refreshing detail. Slocum clears up common misconceptions about jihad, Sharia law and the role of women in Islam. He then connects the dots for readers of all faiths between cause and effect for the rise in Islamophobia. Finally, Slocum suggests practical ways to overcome societal fears by face-to-face interaction with our Muslim neighbors. “Before reading this book I knew very little about Islam despite a pastoral career. I now feel like I know much more. It left me with a hunger to befriend Muslims.” - Pastor Martha Freeman, M.Div.